Gilmore, originally from Dallas, Texas, is a student at Texas Tech University Health Sciences Center School of Medicine. She will complete her Doctor of Medicine in May 2019. Gilmore becomes the 13th student to serve on the Board of Regents and is the fifth student regent from TTUHSC. Gilmore has been heavily involved with the TTUHSC Student Government Association, serving both as Vice President of Finance and School of Medicine Senator. She also served as treasurer for the TTUHSC Ophthalmology Club and is a founding member of the Association of Women Surgeons Club. Additionally, Gilmore is active with the Texas Medical Association as a Medical Student Section representative. She also represents the Medical Student Section on the TEXPAC executive committee. Gilmore will serve a one-year term effective immediately, and her first Board of Regents meeting will take place Aug. 9-10 in Lubbock. She replaces Jarrett Lujan of Angelo State University, who was appointed in 2017. Gilmore earned a Bachelor of Arts in the biological sciences with a minor in psychology from Northwestern University and a Master of Science in physiology from the University of Michigan. In addition to her extensive academic and leadership experience, Gilmore is a published researcher. 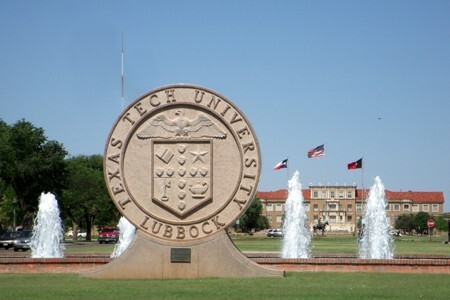 Headquartered in Lubbock, Texas, the Texas Tech University System is a $2 billion enterprise focused on advancing higher education, health care, research and outreach with approximately 20,000 employees, nearly 53,000 students, more than 330,000 alumni and an endowment over $1.2 billion.